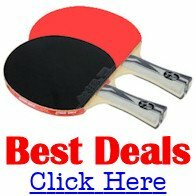 Topeka Table Tennis Club is located in Topeka, Kansas, United States. We are at 1001 Buchanan, Topeka, Kansas, 66604 and visitors are encouraged to come. Our club started seven years ago at a church that often cancelled the practice, so we moved to The First Church of the Nazarene about six years ago. We play in a full size high school gymnasium with a NCAA final volleyball floor on one end and masonite wood on the other. Our players are friendly and anyone is welcome. We play an hour or two of singles and then play doubles. We have loopers, anti, hardbat and a variety of sponge to add a lot of different kind of players. We have one serious chopper, two very good loopers. one good anti defense and an offensive hardbat player. The cost is $2.00 and we are open 7:00pm-10:00pm Tuesdays, 12:00pm-3:00pm Saturdays. 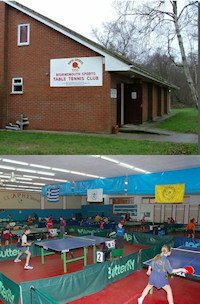 We have 9 table tennis tables but set up five or six depending on the players who turn out. There's lots of room to set up additional tables if needed. We have between 8-15 players, although usually about twelve. Seven players are in the 1500-1900 range. Others are below. Three players play in sanctioned tournaments, others once or twice a year. We play competitively against each other with no specific order. There are no leagues but there are two tournaments - Sunflower Games of Kansas and Senior Olympics Kansas. We do not have any paid coaching but we do have 3-4 players who can do some coaching for players. For more information contact Bob.